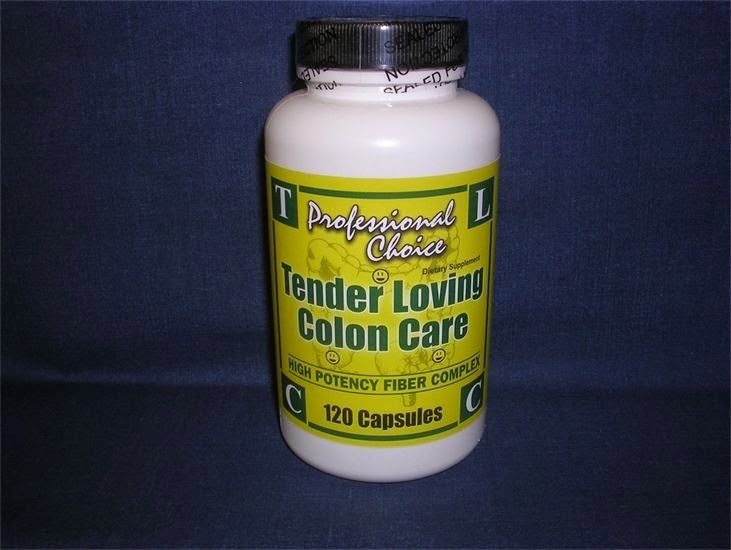 120 Capsules: $24.99 Free Shipping! 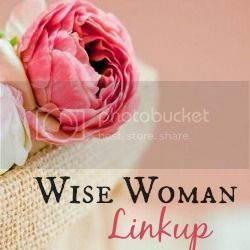 **Also in 30 Capsule Size for $8.99 FREE Shipping!! 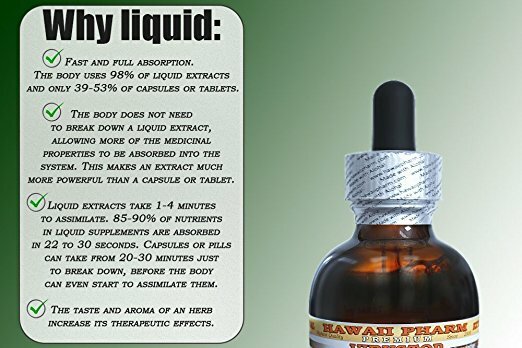 Seven Flower Extract: 1 Bottle $20.00 -100 Tiny Tabs, Free Shipping! 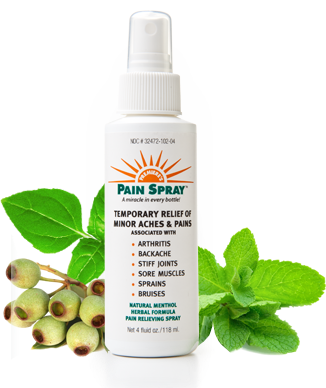 Pain Spray: 8 oz. 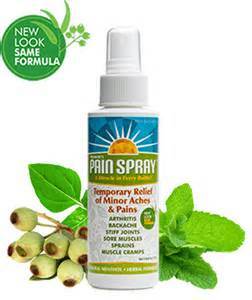 Bottle, $11.00 + $4.00 Shipping.Works great and even better if you add some essential oils to it. 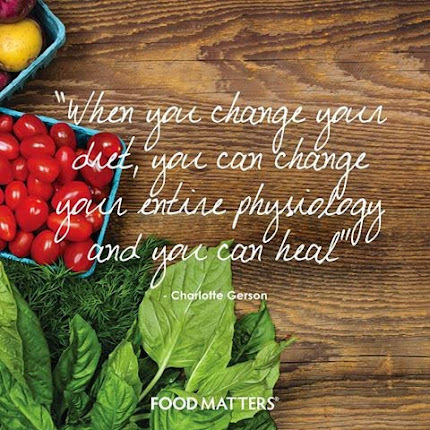 I have seen time and time again people using Food as Medicine and getting amazing results. You really are what you eat. I just wanted to take this time to wish all of you a very Happy, Healthy 2019!! A lot of us make New Years Resolutions, but rarely do we stick to them. My suggestion is pick a resolution and try it for 21 days. 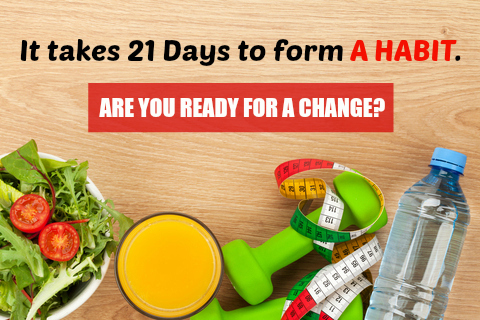 (It takes 21 days to form a habit), and see how it works out. 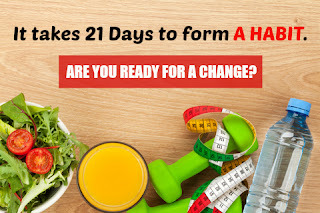 We can do anything for 21 days. This is something I am going to try myself. Its worth a shot. It will give you a sense of purpose and will surely motivate you to continue because you will feel so great. What ever you choose to do, let's make this year the best ever!! This will change your life!! Click on watch video above! Oh, the ever-mighty Superfood. The natural world's answer to Superman. 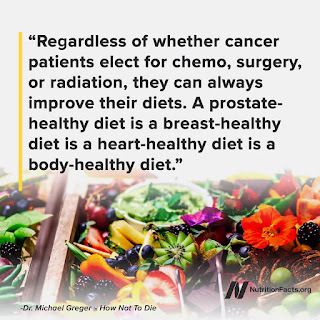 Instead of fighting crime however, they are fighting against other enemies trying to combat our bodies like harmful bacterias, cholesterol, weak immunity and under active thyroids. 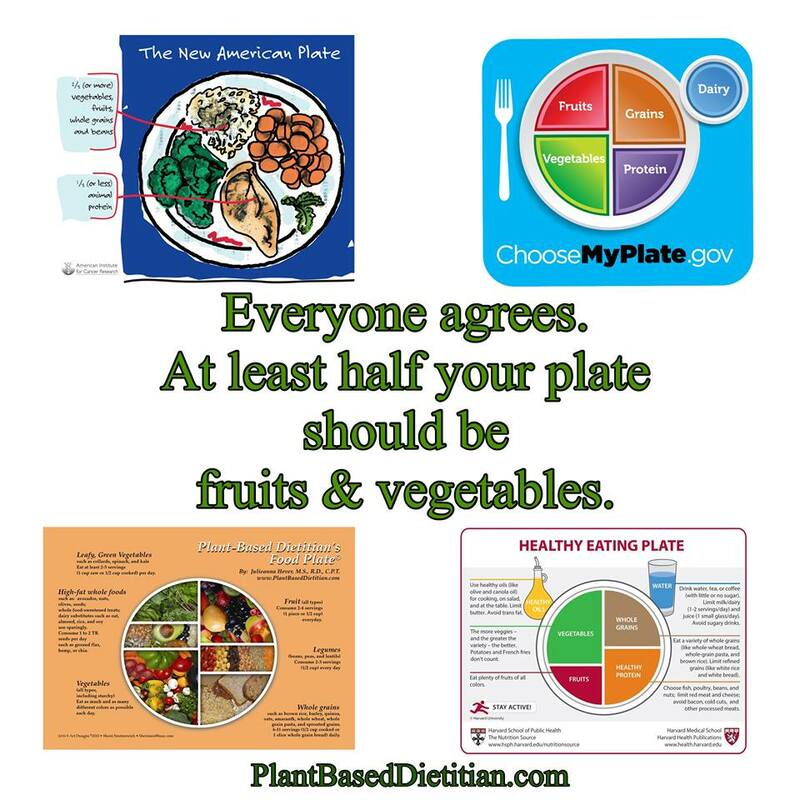 Their size often seems small when compared to what their nutritional benefits are for your body and overall health but just like the underdog in any movie, they should never be underestimated. Wheatgrass, in particular, is powerhouse little sprout packed full of Vitamins A, B, C, & E as well as amino acids and is made up of a whopping 70% chlorophyll. Wheatgrass has the amazing ability to help purify the body, removing toxins, heavy metals and cancer-causing agents from the liver and bloodstream. 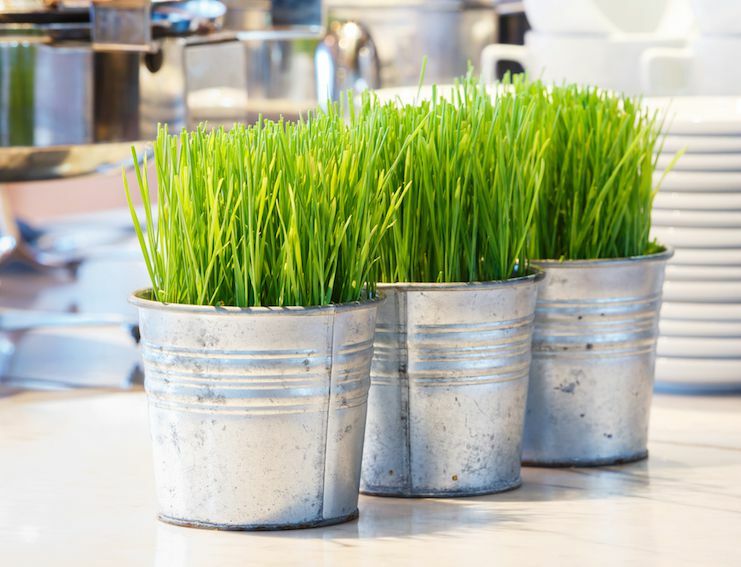 Wheatgrass enemas are considered one of the better forms of colonics, giving your body the ability to immediately absorb and retain all of the wonderful vitamins and nutrients it possesses. It has been used to relieve gastro-related issues because of its natural ability to promote healthy blood and purify the body. 4. It’ll Speed Up That Thyroid! Wheatgrass stimulates the thyroid gland which helps boost your body’s metabolism and ability to lose weight. In a 2010 study, results showed that when wheatgrass was introduced to a high-fat diet, it had a significant reduction in bad cholesterol as well as a positive improvement in good cholesterol (HDL). 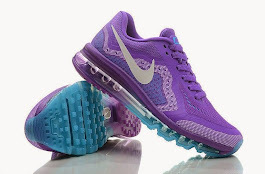 It also dilates the blood pathways which reduces blood pressure. The study also showed a significant rise in the appearance of Vitamin C and glutathione. 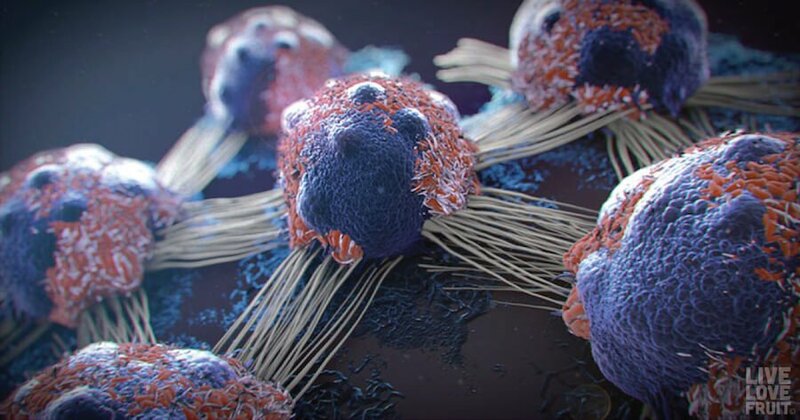 Glutathione is one of our bodies most powerful antioxidants and is concentrated mostly in the liver, making it an essential part of the body's natural detoxifying processes. Taking a shot of ‘grass’ is not appealing for most, especially if this is your first go at testing out the benefits of wheatgrass. Luckily, it has become a widely used superfood and can be consumed through a variety of methods. Fresh, powdered or in capsule form; there is an easy and convenient method for everyone. 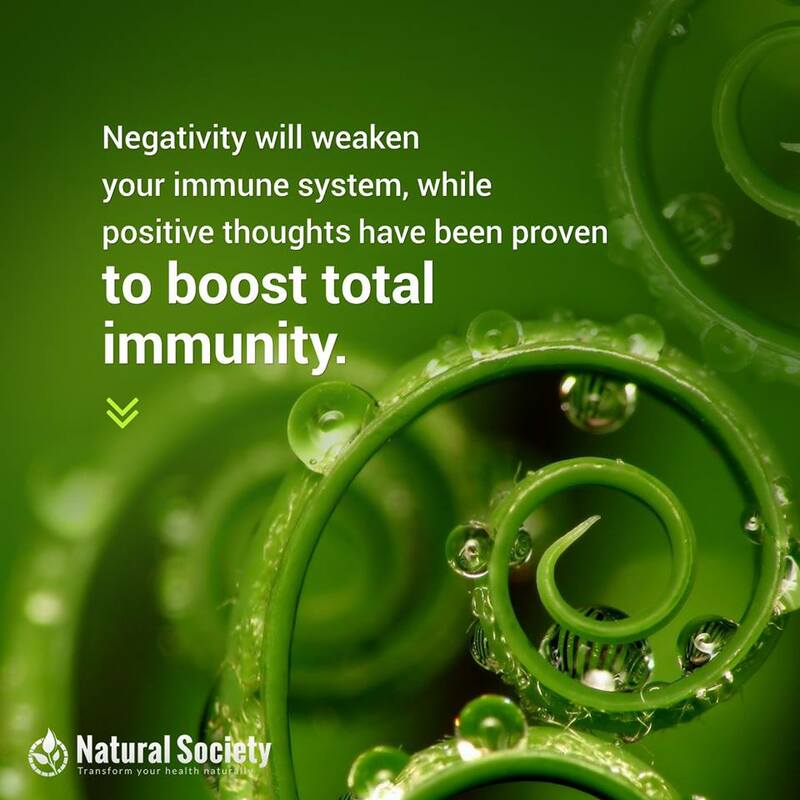 However, it is proven that having wheatgrass freshly juiced within 15 minutes is the best way to receive all of its amazing benefits. 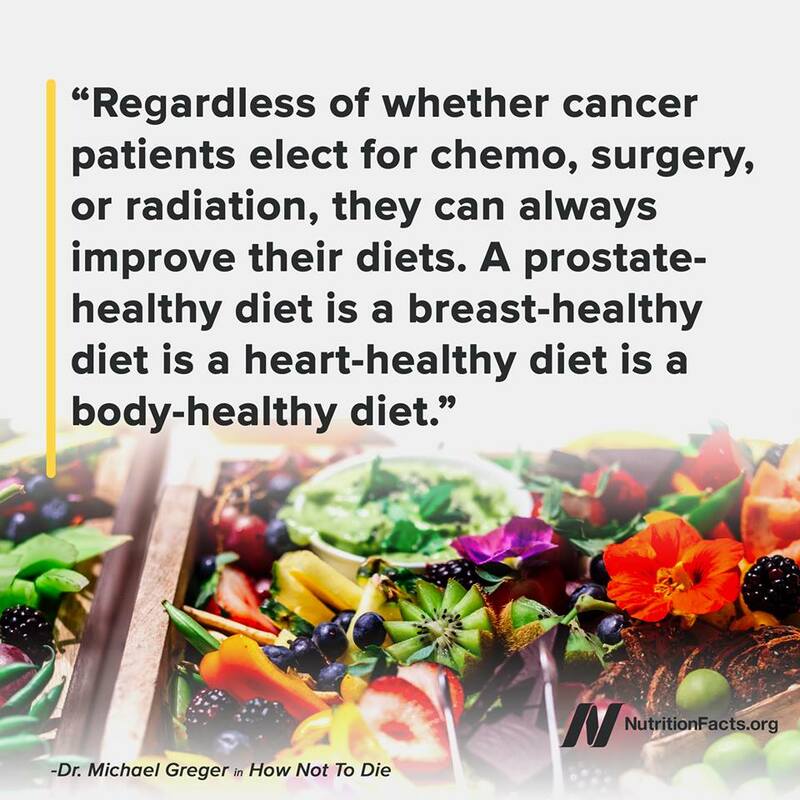 More and more research is being done into linking the benefits of wheatgrass and its ability to prevent certain types of cancer, as well as help, improve the wellbeing of cancer sufferers. Studies done on the benefits of chlorophyll derivatives have linked this nutrient to have beneficial effects in liver, colon, stomach and gastrointestinal cancer cases. Being that wheatgrass is made up of 70% chlorophyll, more studies are being done to better understand this superfood and the optimal form to consume it to help in these cases. With more Vitamin C than oranges and two times the amount of Vitamin A than carrots, adding wheatgrass into your diet during those bitter winter months will help as an extra fighter against the common cold, flu as well as preventing your body from contacting more serious threads of the same viruses such as bronchitis. A 2oz shot packs all these benefits and is a natural alternative to getting a flu shot. Be sure not to overdo however it as some people have found that over-consumption of fresh wheatgrass has made them feel nauseous. Having a 2oz shot of wheatgrass before exercise or soon after any form of physical activity can help with your endurance whilst performance high energy level activities. This is because of wheatgrasses ability to supply red blood cells to the whole body, which in turn oxygenates every cell and in turn, the body. 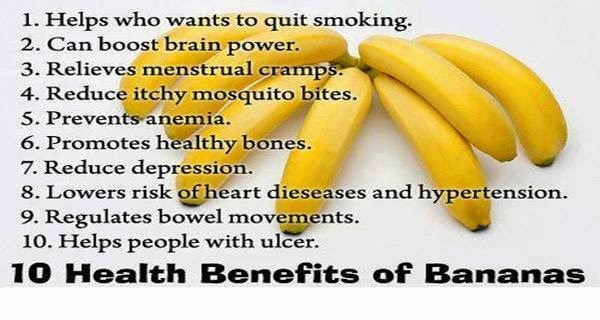 This is what gives you a boost of energy and also helps fight against the environment around you such as smog. 10. It Can Help Purify the Air Around You! Because of wheatgrass's ability to promote oxygenation within the body, it is also able to do so with the air around you. Place a tray of wheatgrass beside your bed to help promote a better night's sleep or have a tray at your desk to help purify that recycled office air, helping to keep you more alert. Vitamin D deficiency is a pandemic in the United States, but many Americans, including physicians, are not aware that they may be lacking this important nutrient. Despite its name, vitamin D is not a regular vitamin. It's actually a steroid hormone that you get primarily from either sun exposure or supplementation, and its ability to influence genetic expression that produces many of its wide-ranging health benefits. Researchers have pointed out that increasing levels of vitamin D3 among the general population could prevent chronic diseases that claim nearly one million lives throughout the world each year. Incidence of several types of cancer could also be slashed in half. Vitamin D also fights infections, including colds and the flu, as it regulates the expression of genes that influence your immune system to attack and destroy bacteria and viruses. In this interview, one of the leading vitamin D researchers, Dr. Michael Holick, expounds on these and many other health benefits of vitamin D. He's both an MD and a PhD, and wrote the book, The Vitamin D Solution. Since the early 2000s, scientific investigations into the effects of vitamin D have ballooned. By the end of 2012, there were nearly 34,000 of them. Dr. Holick is one of those who has really helped advance our understanding of the massive importance of vitamin D—far beyond its influence on bone metabolism. I identified the active form of vitamin D [1,25-dihydroxyvitamin D] while working at Dr. DeLuca's laboratory." I've often said that when it comes to vitamin D, you don't want to be in the "average" or "normal" range, you want to be in the "optimal" range. The reason for this is that as the years have gone by, researchers have progressively moved that range upward. 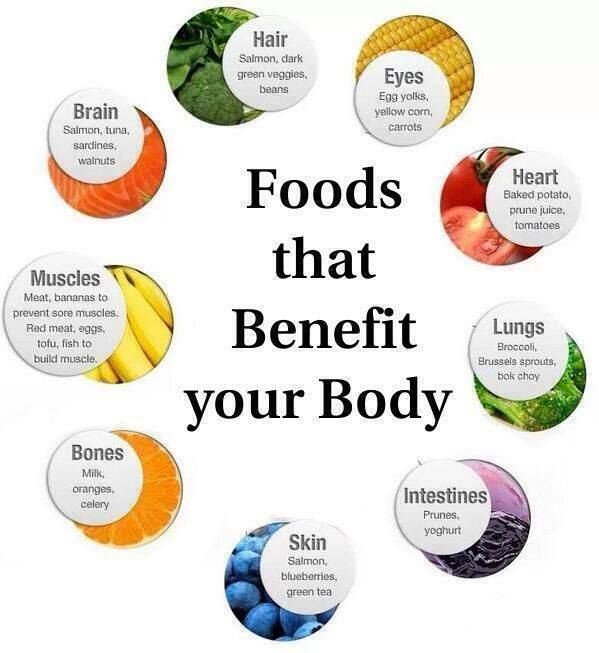 "The Institute of Medicine, including the Endocrine Society, recommends at least 20 for bone health. But there's this area between about 21 and 30 that we consider to be an insufficient level. Most experts agree that if you're above 30 nanograms per milliliter, this is a healthy level. GrassrootsHealth has also been looking at this issue and also recommends 40 to 60 nanograms per milliliter as the ideal level." ... A study was done in Maasai warriors who are outside every day. That really gives us an insight where we should all be with our blood levels of 25-hydroxy D. They were found to be around 50 nanograms per milliliter." I firmly believe that appropriate sun exposure is the best way to optimize your vitamin D levels. In fact, I personally have not taken a vitamin D supplement for three or four years, yet my levels are in the 70 ng/ml range. If you can't get enough sunshine, then a safe tanning bed would be your next best option. What makes for a safe tanning bed? Most tanning equipment use magnetic ballasts to generate light. These magnetic ballasts are well known sources of EMF fields that can contribute to cancer. If you hear a loud buzzing noise while in a tanning bed, it has a magnetic ballast system. I strongly recommend you avoid these types of beds and restrict your use of tanning beds to those that use electronic ballasts. Dr. Holick recommends protecting your face when using a tanning bed, and to only go in for half the time recommended for tanning. Make sure the tanning bed you're using is putting out UVB radiation. There are some on the market that only put out UVA, as this is what creates a tan. UVA rays are also the ones responsible for skin damage, however, and they do NOT make your skin produce vitamin D.
Beds tend to vary between three to 10 percent UVB, and the higher the percentage of UVB, the better. There are also beds that make UVB only. They're not as popular since they won't make you tan, but if you're only doing it solely for the health benefits, then a UVB tanning bed is certainly an option. I typically recommend, if you're going to go out into the sun, expose your arms, legs, abdomen and back, two to three times a week for about half the time it would take to get a mild sunburn... [W]hen you make vitamin D in your skin, it lasts two to three times longer in your body. You also make additional photoproducts in your skin. There's some evidence that suggests that maybe these photoproducts have some unique biologic properties in the skin. Because we do know that sensible sun exposure decreases risk for malignant melanoma, and it could be that some of these photoproducts are helping in that process. Beta-endorphin is certainly made in the skin during exposure to sunlight. That's probably the reason why people feel better when they're exposed to sunlight." 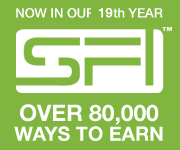 Want Safer Sun Exposure? There's an App for That! Dr. Hollick helped consult for a company that developed a smartphone app called DMinder, available on www.dminder.info. Based on your local weather conditions (reported from the weather service) and other individual parameters such as your skin tone and age, it tells you how much UV radiation you're getting, and how many units of vitamin D you're making. It will also tell you when to get out of the sun, to protect yourself from sunburn. Beware that you CANNOT make any vitamin D when you're exposed to sunlight through glass since glass filters out most of the UVB that stimulates vitamin D production. All you're mostly getting are UVA rays, which penetrate deeply into your skin, causing wrinkling, and increasing your risk of skin damage and skin cancer. Also beware that UVA radiation is harsher in the morning, and late afternoon. So, contrary to popular advice, which was more tailored to tanning than optimizing your vitamin D stores, you'll want to avoid early morning and afternoon sun. According to Dr. Holick, you cannot make vitamin D until about 10:00 in the morning until about 3:00 in the afternoon. Another important nugget that many people may not appreciate is to take into account daylight saving time. When you're in daylight saving time, the peak sun exposure is not noon – it's 1:00 pm. So if you want to get your maximum sun exposure, go out around 1:00. If your circumstances don't allow you to access the sun or a safe tanning bed, then you really only have one option if you want to raise your vitamin D, and that is to take a vitamin D supplement. Here too recommendations vary, and there are no hard and fast rules. While Dr. Holick disagrees with my recommendation to regularly test your levels in order to assess proper dosage due to the cost involved, I feel this really is your best bet. You want to make sure you're staying within the therapeutic range of 50-70 ng/ml year-round, so regardless of general guidelines, you may need to increase or decrease your dosage based on your personal requirements. The Society Clinical Practice Guidelines Committee recommends the following dosages. Keep in mind that these guidelines are thought to allow most people to reach a vitamin D level of 30 ng/ml, which many still consider suboptimal for disease prevention. GrassrootsHealth offers a helpful chart showing the average adult dose required to reach healthy vitamin D levels based upon your measured starting point. Many experts agree that 35 IUs of vitamin D per pound of body weight could be used as an estimate for your ideal dose. "I treat my patients, on average, with 3,000 units of vitamin D a day," Dr. Holick says. "It's been very effective. I've published a paper that over a six-year period of time, most of my patients on a 3,000-unit equivalent a day has between 40 and 60 nanograms per milliliter and there is no toxicity. If you're obese, you need two to three times more vitamin D... But for my patients who are at a normal weight, usually 3,000 to 4,000 units a day is adequate to maintain a healthy blood level of 25-hydroxyvitamin D. I personally take 3,000 units a day. My blood level, on average, is about 55 nanograms per milliliter." According to Dr. Holick, it makes no difference if you take your vitamin D daily or weekly, or even monthly. 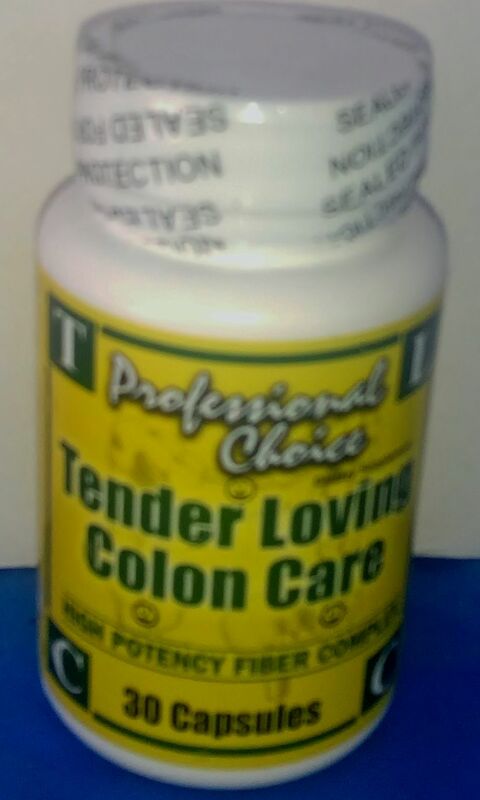 Personally, I'd recommend taking it daily. That way, if you miss a day or two, it's not quite as bad as missing an entire week. 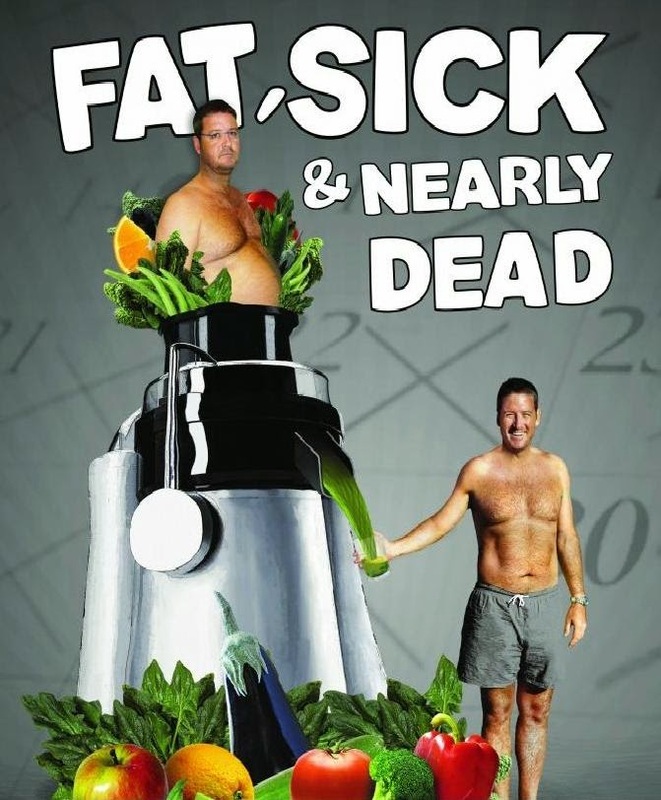 That said, it is fat soluble, so a lot of it enters your body fat and is slowly released from there. So if you miss a day, you can take double the dose the next day. 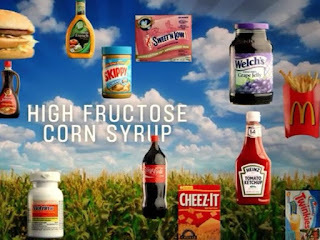 Fantastic Article by Dr. Joseph Mercola on how eating sugar effects your health. Be sure to watch the video as well. Taking Sugar completely out of your diet will change your health dramatically. 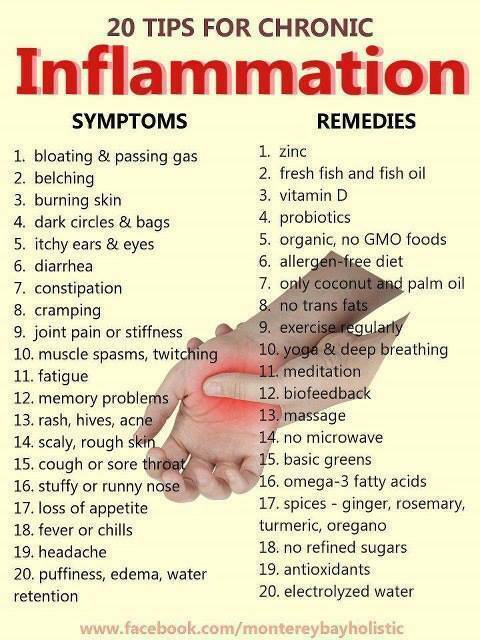 You will be shocked at the diseases it can cause. Highest Strength Wild lettuce NON-Alcohol liquid extract! 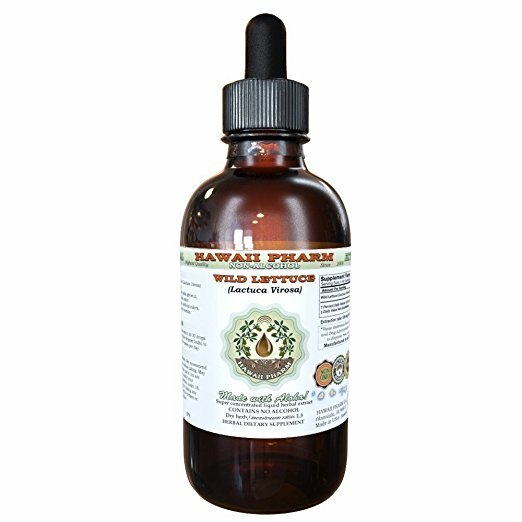 Wild lettuce NON-Alcohol liquid extract contains ONLY natural ingredients! High Quality Wild lettuce NON-Alcohol liquid extract - we use classic conventional methods of extraction! We meticulously produce our extracts according to precise standards where each herb is extracted according to the distinct characteristic of each plant! 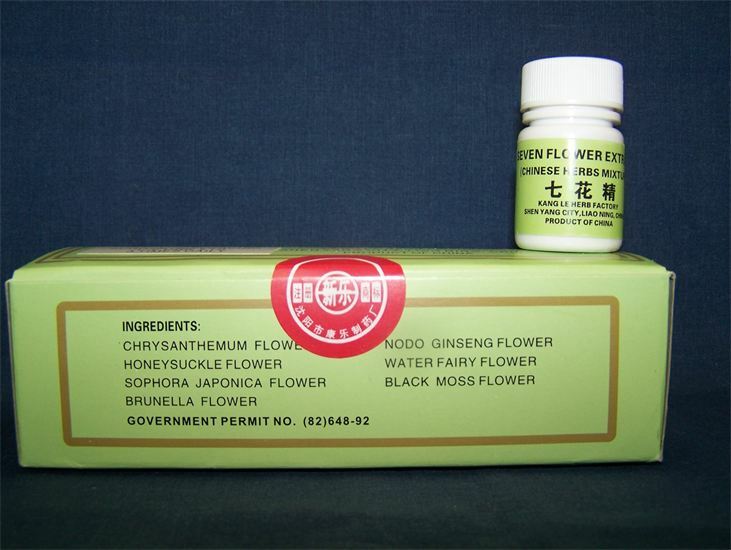 Super concentrated Wild lettuce NON-Alcohol extract: dried material / solvents ratio is 1:3! We strictly use Only Certified Organic or ethically sourced wild harvested raw material, vegetable palm glycerin and crystal clear artesian purified water! 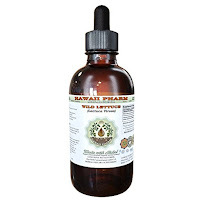 Really the BEST Wild lettuce herbal glycerite on market! Made with love for plants and respect for Nature! Wild lettuce is not a vegetable but actually a woodland member of the sunflower family. The dried latex or sap of wild lettuce was at one time used as a substitute for opium. 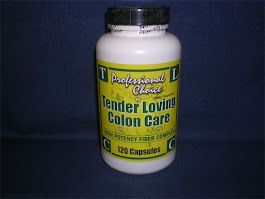 Although wild lettuce does not have the calming power of opium, neither does it cause stomach upset, constipation, or diarrhea as opium products do. The sedative effect of wild lettuce is attributed to lactucopicrin and lactucin. The leaf also contains apigenin, luteolin, quercetin, coumarins, mannitol. The fresh leaf but not the dried herb contains hyosycamine, a chemical also found in henbane. 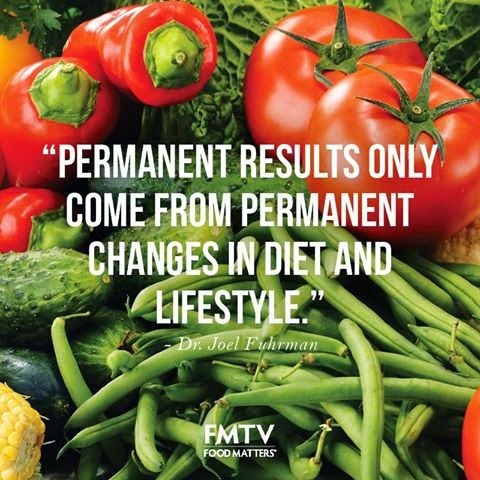 Article by Dr. Joseph Mercola.